One of the most popular (and my favorite) ways to use up your left over turkey is in a sandwich. Whether on potato, whole wheat, or white bread and then smothered with mustard, mayo or both… a big fat turkey sandwich several hours after the big feast and a little nap is a good thing! A leftover turkey sandwich, anyway you like it, is a no brainier for those Thanksgiving day leftovers. And I know what you are thinking “Heather, you are not really going to try and share a ‘recipe’ for a turkey sandwich, are you?” Well my friends, to get technical, no this is not a recipe per say. Just an idea. An idea you may find a little strange. But I am asking you, please don’t knock it tell you try it. 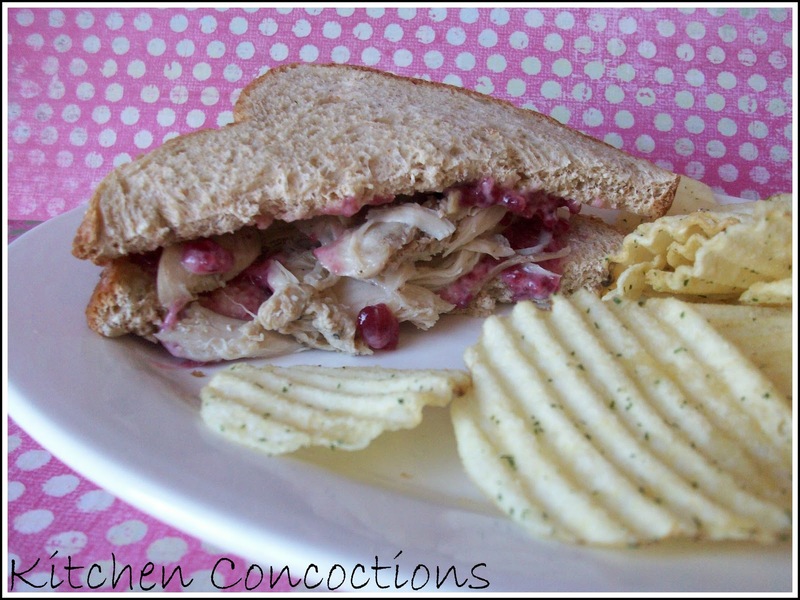 This classic turkey sandwich has all the makings: whole wheat bread, check; leftover Thanksgiving turkey check, check, Miracle Whip (ok I am sure there are Miracle Whip haters out there but it is essential to this sandwich), and then the star of this turkey sandwich: whole berry cranberry sauce.